It is no secret that I am a huge Dresden Files nerd. If you haven’t read the amazing book series by Jim Butcher, you are missing out on some of the best urban fantasy around. If you watched the TV show, you’re nearly there – now go to Kindle or the library or your local bookseller and make your eyeballs do the walking across those amazing pages. Ahem. So, as I said, huge Dresden nerd. 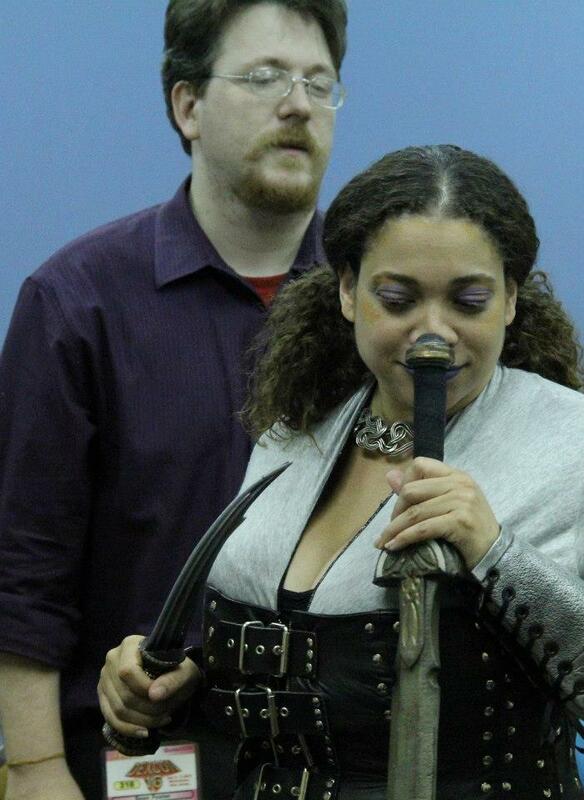 (I even cosplayed as a female Harry Dresden at last year’s NYCC – no joke). 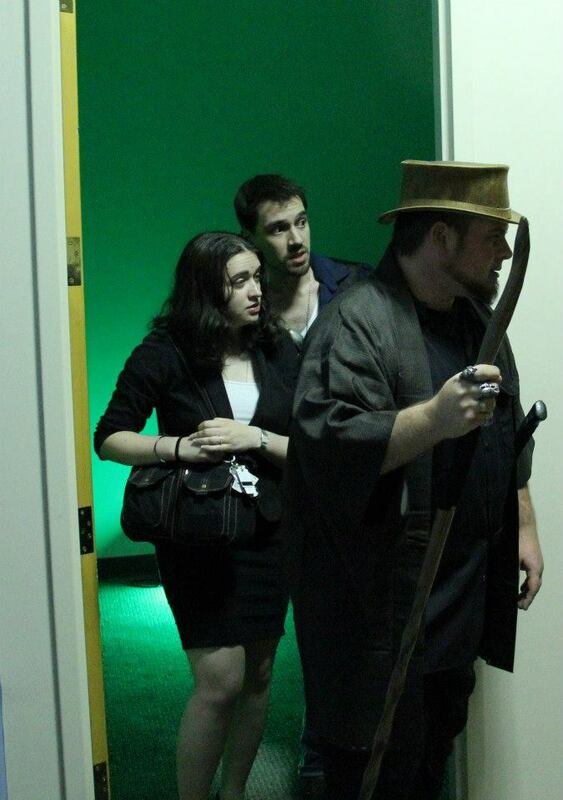 So when I thought a few years back about what LARP I would love to run, the Dresden Files came to mind. I was a huge fan of the tabletop RPG created by Evil Hat Productions and once i got my hands on the book, we were off to the races. Now, two and a half years later and three versions of the rules (at least!) 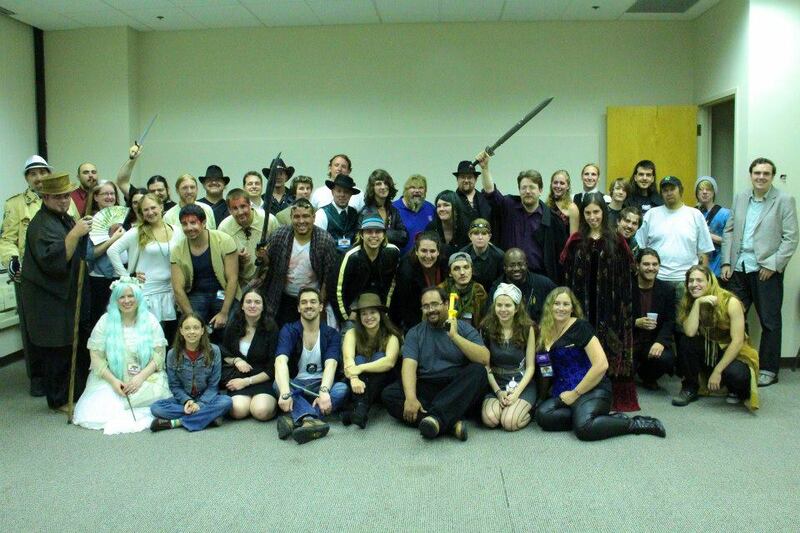 gone by, my team and I run The Unofficial Dresden Files LARP out of the Double Exposure conventions in Morristown, New Jersey. Over the July 4th weekend, my team and I ran our fourth Dresden Files game to the tune of forty-five people. The game, entitled “Final Frost” was the culmination of our very first chronicle. And it has been a wild ride. Here’s how it all went down. How This Happened: As I said before, I’m a huge Dresden Files fan. After running a few tabletop sessions of the Evil Hat tabletop RPG, I came upon the idea that Dresden Files would make a great LARP. Why? 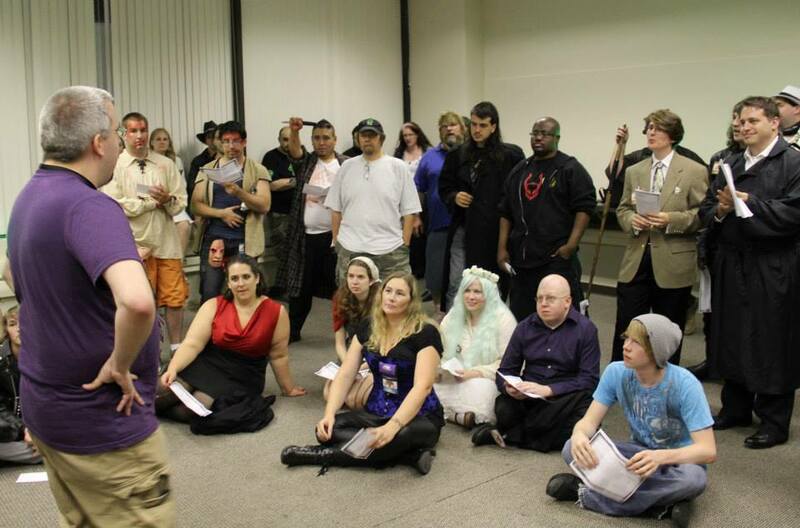 It has all the factors that make supernatural theater LARP great – a multitude of different supernatural creatures, a decent balance between human characters and the things that go bump in the night, and a world that ties everything together so perfectly. The fact that the world has such a fan following and such a strong intellectual property made it a perfect level of buy-in for players. Moreover, I felt that Dresden was a supernatural world with all the moral ambiguity and personal choice play that people could get with World of Darkness games without a lot of the darker, sometimes depressing overtones that WoD games can bring. Dresden is a rollicking adventure world where people take their adventure in their hands and go for broke, and that’s the kind of games I love. So I got together a team and we began planning. Now, two and half years later, most of the original team have gone on to other projects but the passionate players of this convention game experience have stayed. The result is a growing player base who have come back four times in a row to see what we can offer. The Premise: The world of the Dresden Files is a supernatural playground of wizards, vampires, were-creatures, fae and their changeling children, and every flavor of supernatural whozamawhutzits that might come in between. These characters try to coexist in a world that, for the most part, doesn’t know they’re around. Dark powers wriggle around in the background of course and those ‘in the know’ try to figure out how to stay afloat in a constantly shifting supernatural world. The main themes of the game are personal choice between power and humanity and we tried to keep very close to those themes when designing our very first chronicle. We began with “Trouble Signs” in which a powerful CEO tried to jumpstart his career in the supernatural world by signing onto what are known as the Unseelie Accords. His idea? Host a massive auction where he would sell off some of his prized magical items for support. Of course nothing goes correctly and he causes everyone to get in dutch with the Queen of the Winter Fae, Mab herself. By the time game four rolled around, the characters had to travel into the very heart of Winter to the stronghold of Arctus Tor to ask Queen Mab not to explode a huge section of New York City with Mordite. In between there were Denarians, dominance battles by werewolves, possessions and corrupt cops, reconstituted faerie courts and wizards risen from the dead. Yeah, it kind of went like that. The Preparation: This chronicle, as I mentioned, has been two and half years of work in the making. From concept to final execution it has had literally hundreds of hours of work by multiple people. For the sake of brevity, however, I’ll focus on the prep for Final Frost, our most recent game. The player briefing before game. Final Frost was perhaps easier than the previous games in that we had been through the process several times before. In between games two and three we had junked our entire rules system for a brand new adaptation of the brilliant tabletop Fate Core system (also by Evil Hat Productions). Fate is the engine that drives the Dresden Files RPG and the newest version gave us a lot of the agile storytelling options that we wanted to focus on for the LARP. I was lucky enough to team up with John Adamus, who worked as editor on Fate Core, and we schemed ways to adapt Fate Core into a system for the LARP. The results from John was a brilliant adaptation of the Fate numbers system for a card-pull based mechanic that kept the core of Fate games – the Aspect system- intact. The Stunts and Powers for each player were individually crafted to suit the player character’s needs and skills were stripped wholesale from the tabletop in a simple adaptation. The mechanics were tailored to make the resolution systems more narrative focused and quick, as our intent was to foster games where player agency was key. The Dresdenverse is driven by characters that take chances, do amazing things and step out on the edge and that’s what we wanted to support in our players. Power versus humanity – bargains being made. 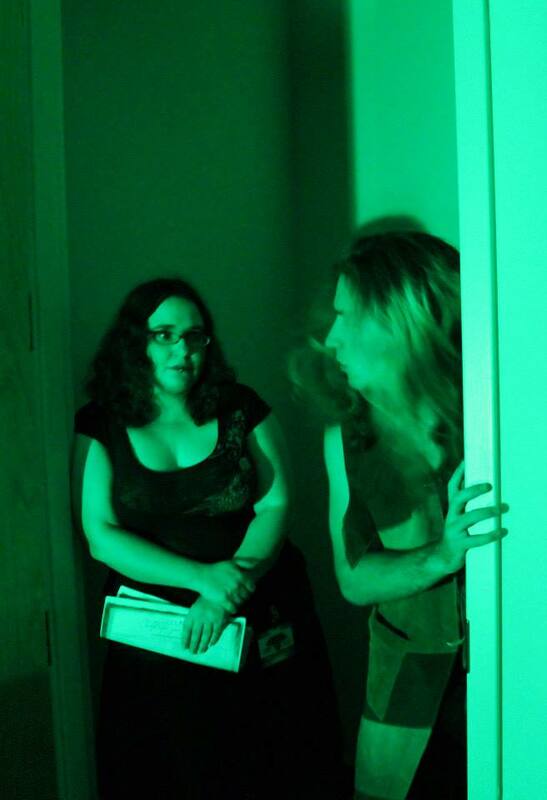 For the actual game session we relied on very bare-bones theater-style setting with rooms set up with sparse lighting. We relied heavily on narrators setting the scene and describing what was seen since, to be frank, we didn’t have the budget to build a giant ice castle. Relying on the players imagination and the judicious application of props, we lead players through everything from a Queens warehouse under siege by Black Court vampires, darkened roads through the Nevernever, and the heart of Queen Mab’s territory itself. We relied heavily on small props as well, cleaning out local stores for props that could represent magic and transformations in game. For example: were-forms were a big part of our campaign. Yet transformations into werewolves always bugged me in games. So to indicate transformation we handed out little plastic face masks that went over the nose and mouth. Whenever a were-form would transform, they would pop on the nose and presto, insta-werewolf! The characters for the campaign had always been pre-generated since the beginning of the chronicle. Players however began to get so attached to their characters that they would register with us before the convention in the hopes of reprising their previous characters, so much so that we had almost a 75% retention rate for players coming back by game four. Each player was provided with a character sheet with stats and a full backstory. Though these backstories originally topped out at over a page long, by game four the necessity for that much information had decreased since players knew their characters well and we managed to get down to one paragraph. That dramatically shortened the workload for me considering I was writing most of those backstories (that’s a lot of typing). And that was predominantly the workload for this game – story ideation, character management, system building and iteration, and sheet generation. Paperwork. Lots of paperwork. A wizard back from the dead. The Game: When Final Frost started, the players were headed into the Nevernever to confront Queen Mab over what might become the destruction of everything on Earth. They had opened up a trapped box that held Mordite, an anti-magical substance that would have exploded and eradicated most of New York. The reason for Mab’s ire? The players had managed to help reconstitute the Autumn and Spring courts of the fae, causing upheaval in the fae realms. To that end, she started a near war in New York and the players were out to stop it. The game before had seen some players escape into the Nevernever to find Mab while the others stayed behind to guard the Mordite trap from being stolen by the Black Court vampires. They too however escaped into the Nevernever by wrenching open a gateway using the power of some faeries and the sacrifice of two were-forms (they lived but lost their ability to shapeshift). Once inside the magical Nevernever they were reunited with their friends and headed for Artcus Tor. There they fought Mab’s guards until she stopped the battle and issued a challenge – break the Autumn and Spring Courts and she would stop the box. Pretty straight forward? It’s never that easy! The players were forced to track down the sword of Spring and bargain for the lost magic of a wizard (a player character) to be able to take on the power of the Spring Queen, whose life Mab demanded be forfeit. Its funny as a storyteller when you set out events before players what happens. The end results might be the same but nobody ever gets there the way that you expect. I had the honor of playing both Queen Mab and the Mother of the Winter Court, Mother Winter, and throughout the night it was fae bargains left and right. Souls were sold, deals were brokered and power changed hands. In the end, however, the Spring Queen was eradicated and the power of the courts broken when the players were given some insight into what would happen if they didn’t do what Mab said. The Mordite box was removed and plenty of people ended up owing Mab their lives when the destruction of the Spring Queen nearly killed everyone involved. For the most part, however, the players returned from the Nevernever in one piece – all except for a lone wizard who had stayed alive long enough to do his job. Then he was taken away by Mab, after sharing a last meal of burgers and fries with his apprentice and their fellow wizards. Changelings hiding from the madness outside. A rookie New York City discovers he has a magical past that goes back further than he knows. He gains tremendous power, transferred to him by his dying relative, whose violent murder at the hands of a Denarian sends the cop on a mission of vengeance. In the end he found new wizards to learn from, others who share his vengeance, and maybe a girlfriend? A young woman tries to escape from her bargain with Queen Mab and talks her way into becoming the Queen of Autumn. Yet everything comes with a price and while she’s trying to understand what being a fae Queen is all about, she has to try and save her people from Mab’s wrath. In the end she sacrifices her new power to end the Spring Queen’s life before she can cause calamity. A charismatic White Court Vampire tries to lead his family through the turbulent times in New York and ends up making deals that drive him in the middle of a war with the fae. When he’s trapped in a warehouse, trying to find a way to rescue himself and his cousin from destruction, he is killed fighting when thrown into the Mordite trap. A wizard of the White Council comes up from New Orleans to track down the Denarian that murdered his mentor. Upon arrival he’s pushed into the middle of a war, ends up with an apprentice after watching a Warden killed in front of him, and sacrifices his own magic. By the end however he was returned to his power and even found himself the oddest of ladies to fall for, all before watching the Warden rise from the dead to help battle Mab’s trials. A young werewolf tries to keep his pack together after most of them were slaughtered, including his father, by Red Court vampires. Along with his sister, they long to find protection from anyone who would hurt them. Too bad it was his actions that caused the Red Court to come after his family in the first place- and all over the love of a blood-addicted girl! Reunited with the girl, he ends up forsaking his pack and following her into the Nevernever to end up a servant of the fae Queen of Autumn who rescued her, sworn together as true lovers and leaving his de-powered were-form sister behind. The list of stories go on and on. And they’re not done yet! This chronicle may be over, but the game will continue. After the success of the last few games, the team decided that we wanted to continue running the game…. with a few changes. Change Is Coming: There were some things we wanted to change from the original chronicle in response to player feedback and our own experiences running the game. First of all, we wanted to hand over control of characters to the players. Convention games often breed pregenerated characters, but that requires a lot of work on the staff’s part and also is a hell of a pre-game casting process. Moreover, we felt that to create a personal experience for players, we wanted them to be able to have their own characters that could travel with them from game to game. New players would be able to create their own characters as well going forward. Those who played the game in the past would be able to continue playing the characters from the first chronicle – with a few adjustments. Players learning the new mass combat rules. As said before, the game was kind of high powered. We had faerie queens. We had Denarians. We had dragons for goodness sake. The game, much like the tabletop, is meant to focus on a lower power scale so as to emphasize the notion of power versus humanity, a staple of the Dresden Files books. This chronicle stepped up that power level to make the events of the game earth shaking. After all that, we decided that we wanted to take the game back down to street level, where players would be dealing with less world-changing problems and instead focus more on manageable power scales. This answered feedback from some of our players who felt that their characters were just not scaled to fit some of the threats showing up in the game. That said, we also took a look at some of our mechanics that were and were not working. We’ve taken the feedback given to us and gone after our stress system (which is the damage system for Fate) and how it adapts in a faster-paced LARP session. Mass combat was also tested and, for the most part, held up – yet there were a few considerations that needed looking at that we’re taking back to the drawing board. In the end, the stress test of high powered combat worked to give us the data we needed to work on polishing up the system. 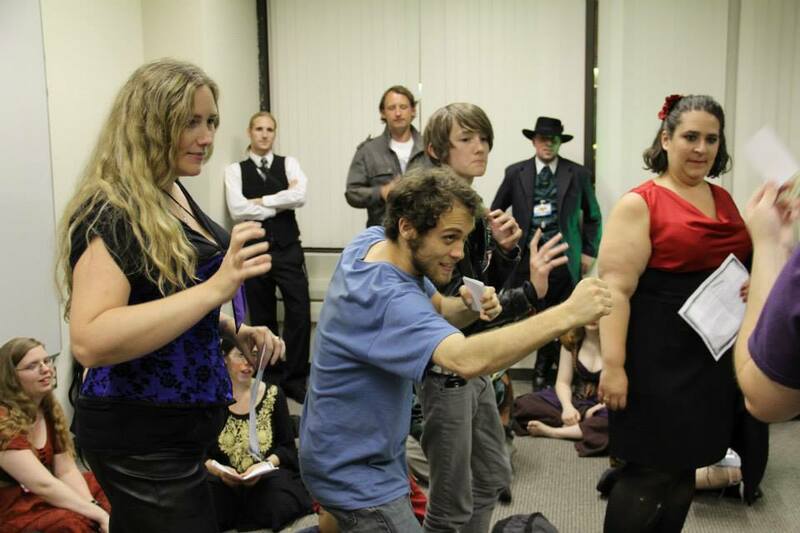 A Special Shout-Out: We also had a wonderful experience hosting a LARP guest at the game. RPG editor Amanda Valentine, who worked on the Dresden Files tabletop as well as a host of other games for companies like Evil Hat and Margaret Weiss Productions, came by to watch the game. Specifically she came because her daughter, Mary Rose, wanted to see the game in action. Instead of watching, Mary Rose got to join us by playing the guest star for the evening, the twelve-year-old Archive Ivy. The Archive is a favorite character of mine from the Dresden books and it was a pleasure hosting Mary Rose to play the character. It was her first time LARPing and she took to the whole thing like a champ, which made her a lot of fans among the players. We hope to have her back sometime soon! The Final Analysis: In the end, the final analysis of the first chronicle of the Unofficial Dresden Files LARP is that its a labor of love for us. I’ve had such a great time working with John, Josh, Kat and everyone else to get this game off the ground. Now that we’ve come this far, there’s no chance we’re going to stop now and with the amazing support of the Double Exposure convention organizers, we’ll be back at Dreamation 2013 with the beginning of the next chronicle. In between now and then, we’ll also be taking our show on the road to present a game at WyrdCon 2013 in California, where the special guest for the weekend at the convention is going to be none other than Dresden Files author Jim Butcher himself. Between now and then we have a lot to do but it’s been a pleasure working on this project so far. So tune in next time, Dresden Files fans, because we’re just getting started. I was wondering if you had played your ruleset anywhere online. I’m in the throes of playtesting a FATE-based LARP, and would love to see how you solved some issues.